I've worked very hard at being a Woman Of My Word. It's so less confusing for my horses if I can say to them, "Every time I do this (insert specific aid), it means this (insert specific desired response), and you must do that (insert horse's response). This is how my horses learn to trust me. I become predictable. The rules are in place and there is less stress when one knows what is expected and where the boundaries are. I can't really say I'm much of a "rules" kind of gal when it comes to my personal life, though. I've been know to negotiate heavily with myself, not to mention invent exceptions to self-imposed rules. One cookie won't kill the diet. Five more minutes of sleep won't make a difference. I really do need that pair of shoes…. It's those kinds of conversations that can whittle away at good intentions and end up really messing up what I might have been trying to accomplish. You'd think I'd be on to me and my wily ways by now. I'll admit, though, that I am much better at keeping my promises to others than I am to myself. In light of that I am making good on my promise to deliver my mystery novel, Death By A Dark Horse, free to whoever would like to have it. My intention was to make it available on Amazon at no cost. However, that plan fell through. I can set my price, but it can't be "free." 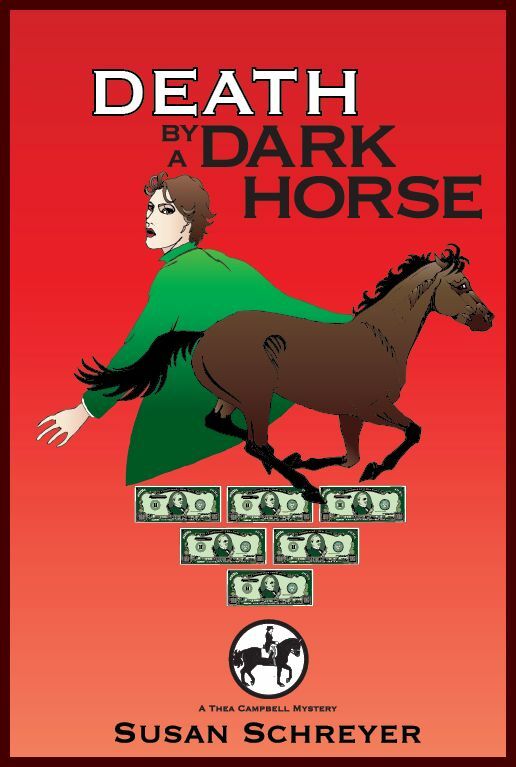 Death By A Dark Horse is available on my website, free, in the pdf version. It won't be there long, so I hope you'll pop over and grab it. 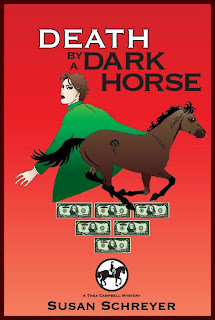 Click on "death by a dark horse" on my home page, scroll to the bottom of the sample chapters and click on the download link. If you have half as much fun reading it as I had writing it, you'll have a great time! Yup. It's something I learned from my horse -- keep your promises. My mother told me that, too. As someone who is reading this book now, if you're reading this comment, you're in for a fabulous read. Congratulations, Susan on getting your work out there. Thanks, Donnell! I'm delighted that you're enjoying Thea and Blackie's adventure! I downloaded the PDF and started reading. I'm a horse owner and looking forward to reading the book in full. Congrats, Susan!! I loved DBADH and am spreading the word. Can't wait for Thea's next adventure! Thanks for keeping your word and writing this series. Thanks so much, Lisa! I'm so glad you're enjoying Thea's adventures!